Water is an original Phillip Penza creation. Its unexpected twists and turns give a whole new outlook on swimming and bathing. 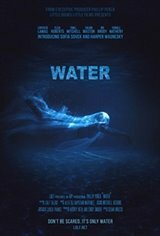 After having a near death experience at his pool cabana waking up to a lion lounging next to him, Phillip was inspired to write a horror movie involving water. The result is an intriguing story that once again brought together an amazing team with an exceptional product.